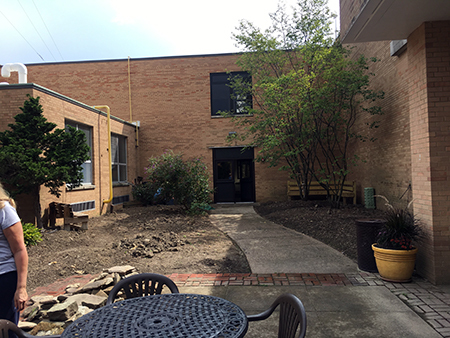 Transforming Bay High School unused courtyard into a student gathering place. 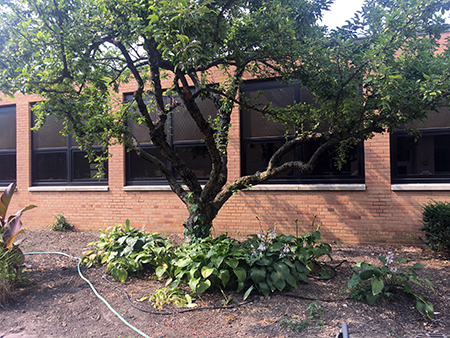 Bay Village High School Courtyard Garden was an unused overgrown space. 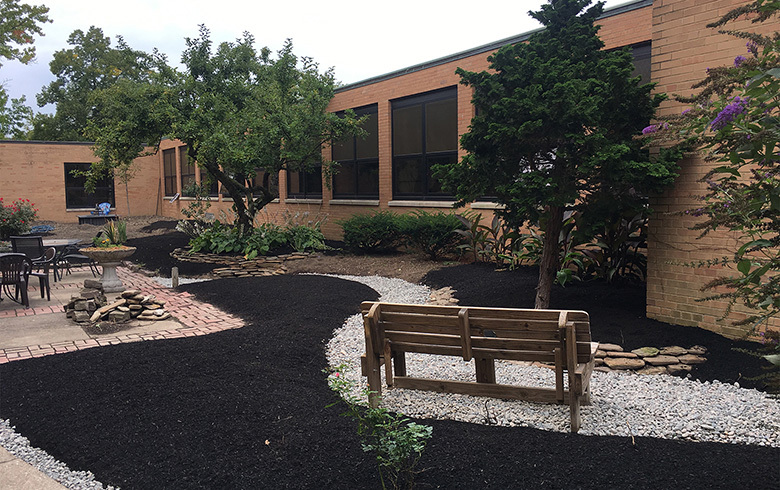 Our goal was to collaborate with the high school staff and parent volunteers to create the “Relax-Refresh-Recharge” student garden. 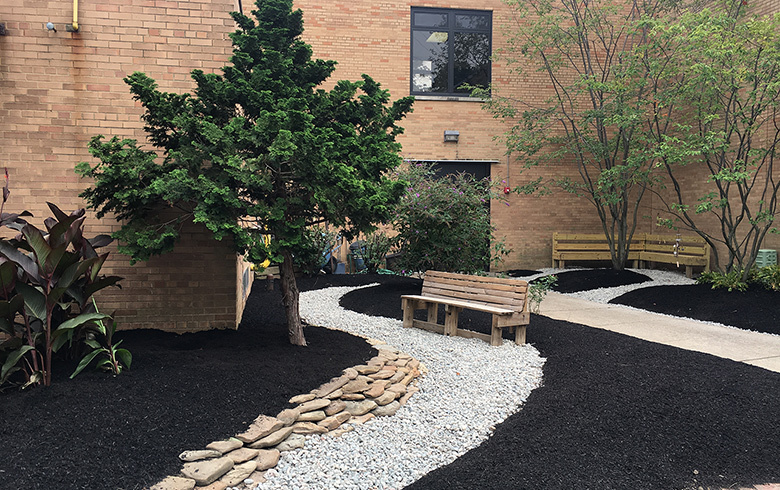 We volunteered our services of design, installed pathways and seating areas along with installation of plant materials. 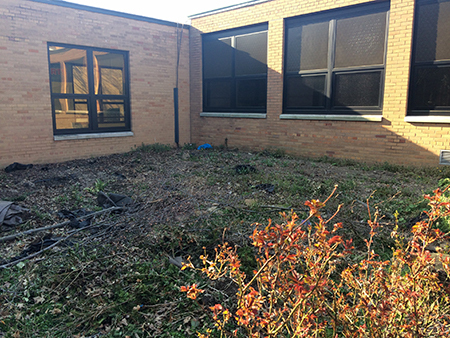 Even though this project is still a work-in-progress the student body is hanging out there now! 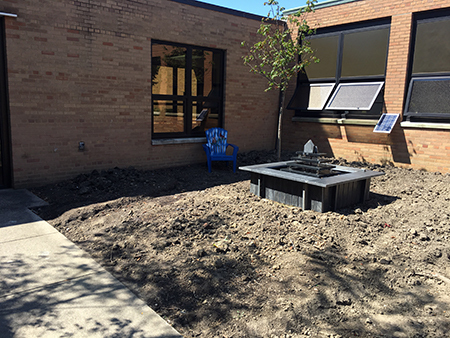 Your donation has transformed the courtyard off the library into a “Zen” like atmosphere that includes a water feature, walking path through the foliage and spaces for reflection. The goal for this space is to help students develop the life skill of how to identify when stress becomes counterproductive, how to acknowledge that a healthy release is needed and how toproactively seek out that release of stress.